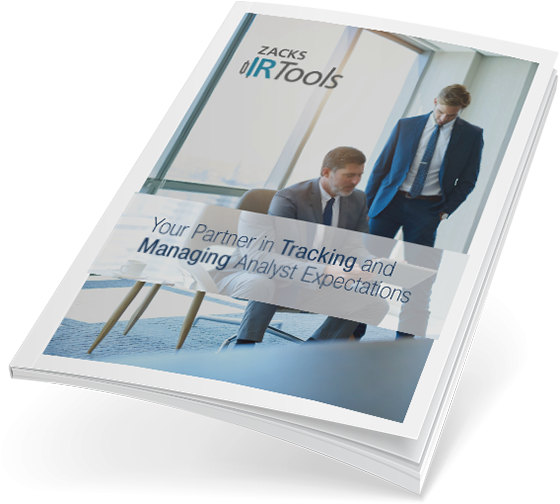 Cover gaps in your IR capability, streamline aspects of your workflow, or employ a complete solution that handles your total IR function – whatever you need, Zacks IR Tools has you covered. Enhance credibility and improve company valuation using the in-depth data in our highly detailed consensus estimate models. We integrate all sell-side analyst data into a single model that offers multiple views to analyze the information you need. Get any questions answered immediately during market hours by a dedicated Zacks account manager and analyst team. Save hours of data-gathering time by harnessing our ability to organize competitor data from a multitude of different sources. See how your firm stacks up against peers according to virtually any metric, using comprehensive data, comparison tables and insightful charts that make your points clearly and quickly. Preparing board management reports is typically one of an IR Department’s most time/labor-intensive tasks. Make it quick and easy by using our pre-built templates, having us populate your internal templates, or letting us design one specifically to your liking, using thousands of data points we collect on a continual basis. Rather than poring over multiple outlets to extract information, find it all on our web site. Access updated daily performance info, a comprehensive charting package, fundamental data on peers, a full targeting and shareholder portal and much, much more. Our comprehensive overview guide fills you in on all the ways we support your IR mission. Discover all the ways Zacks helps your IR department function at maximum efficiency and effectiveness. For complete details on all our services, be sure to download our comprehensive guide.